Confident and accurate English conversation is the main aim of most of our students. Conversation classes are for those who already have basic English knowledge and need more practice and error correction, to enrich their vocabulary and speak English fluently. 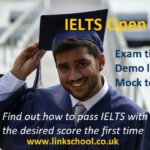 These courses are designed for people who wish to build their English communication skills for everyday situations. 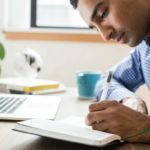 English conversation classes are equally popular among students who live in London and in non-English speaking countries and whose grammar, reading and writing skills are better than their conversation skills – so they need to ‘activate’ their theoretical English knowledge and start using it in practice. If you fit one or more of the descriptions above then our English Conversation Classes will help you become more confident and more competent at speaking and conversing in English. Available levels: lower intermediate, higher intermediate and above. If you’d like to get these benefits and others for yourself, then click the ‘Register Now’ button below. 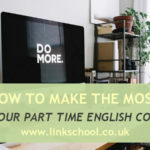 If you want to learn English faster, you can take a combination course, e.g. 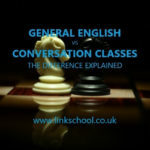 Conversation Classes + General English, Conversation Classes + Exam Preparation or Conversations with Individual Lessons. The content of the conversation class will depend on the level of the group. We use a variety of activities to help you learn English conversation skills including: talking to a partner, group discussions, games, role play – real life situations, and engagement – students doing things themselves. Students receive correction by the teacher in a supportive, fun and engaging environment. 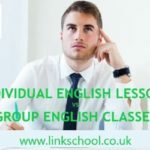 Link School’s English conversation classes are enjoyable, motivating and effective. The main focus is on speaking and listening skills, correct use of grammar in conversation, practical English, pronunciation, increasing vocabulary and using English in a natural way.